Coincidentally, House of Stone is being published just as rioting and repression in Zimbabwe have reappeared in news dispatches coming out of the southern African nation. The current tension reflects similar political unrest in the 1980s that culminated in genocide. The primary setting of the House of Stone is Zimbabwe and a considerable portion of Tshuma’s novel relates the grisly details of that episode in the newly independent nation. The principal character is Zamani, a young man seeking to discover his past and to acquire a family. Zamani is an orphan, as a result of the Gukurahundi, the massacre of the Ndebele people by the Shona in Zimbabwe in the 1980s. The names of Robert Mugabe and Joshua Nkomo, leaders of Zimbabwe’s two major political parties, appear in the novel, as do other significant political figures. The current president of Zimbabwe Emerson Mnanugwa, a.k.a. Ngwena (The Crocodile), was head of state security under Mugabe. The head of the Red Berets, the military unit that carried out the genocide, was Commander Perrevence Shiri, highly feared and better known as the Black Jesus. 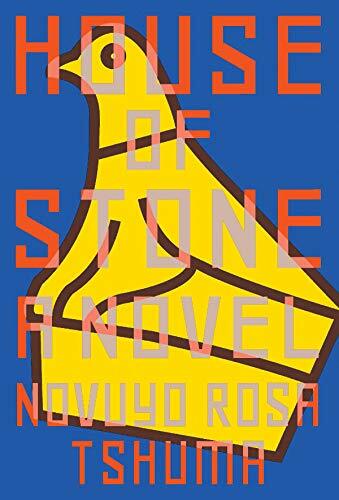 Mugabe, The Crocodile, and the Black Jesus haunt the lives of many of the characters in the House of Stone. Zamani was raised by his Uncle Fani. When Uncle Fani died Zamani went to England. On his return to Zimbabwe Zamani finds that a family has purchased and moved into Uncle Fani’s house. Zamani rents a small room from them and comes to see them as his surrogate family. He calls Abednego his surrogate father, Mama Agnes his surrogate mother, and their son, Bukosi, who is close to Zamani’s age, his brother. Zamani’s quest is to learn about his own past and that of his adopted family so that he can construct a familial and a self-identity. When Bukosi disappears, Zamani seeks to replace him and become a full family member. He is, in fact, desperate to have both Mama Agnes and Abednego accept him as their son. As the plot unfolds there are layers of information unveiled about all of these characters, as well as revelations concerning Zamani’s biological parents and the more recent disappearance of Bukosi. The past is discovered as Zamani conducts research on his own life and that of his surrogate parents. He reveals all of his findings in piecemeal fashion as he discovers it, and then records a “hi-story” of them all, a story spun out on the bloodied canvas of Zimbabwe’s history. The story moves back and forth in time and is full of surprises, twists, and shocking developments. In the end, Zamani is able to construct his identity, a self that satisfies him, but that is not the same Zamani who is revealed in the early sections of the novel. At times, the movement of the plotline and the identity of the characters can be confusing. Zamani learns much of the “hi-story” by inducing Abednego to talk about his past by plying him with whiskey and a local drug. There is a sinister element to this as Zamani plays upon his surrogate father’s alcoholism. Zamani draws out Mama Agnes’ past by playing on her yearning for the return of her son, Bukosi, and by threatening her with the information he gathers about her past. It is helpful, although not required, when reading House of Stone to have some basic knowledge of the fundamental divisions in Zimbabwe’s society and a passing acquaintance with the colonial history of Southern Rhodesia. This knowledge will enrich the narrative and give it more clarity. This is a novel of considerable power that explores identity at the personal, social, and national level. It also has the elements of a mystery. The plot is intricate and the storytelling powerful, and in the end it is tragic in its resolution.